HOMCOM designed this electric scooter ideal for teens to ride around in style. The metal frame construction provides added durability and minimum maintenance. The charge holds up to 6-8Hrs while offering a distance mileage up to 9.3 Miles in one charge. The foldable mechanism makes it easy to store or carry when not in use. The comfortable seat allows enjoy the ride for longer periods. Metal frame construction for added durability. 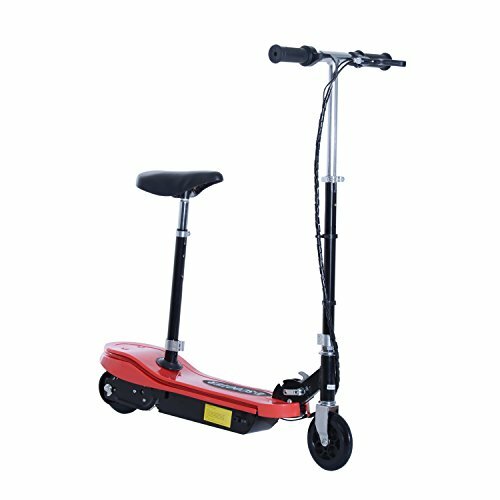 Max Speed: 7.5mph, Max Distance: 9.3 Miles, Battery: 6-8Hrs.